Thank you for visiting our site. Lakeway is a community of ordinary people. We’re not perfect and we don’t pretend to have all the answers; we don’t even know all the questions. Like most people, we are simply on a journey of discovery. If you have any questions, we invite you to bring them. What we do know is God loves you and God has a plan for you. Come visit us; we would love to partner with you on your faith journey and together we can seek the truth. 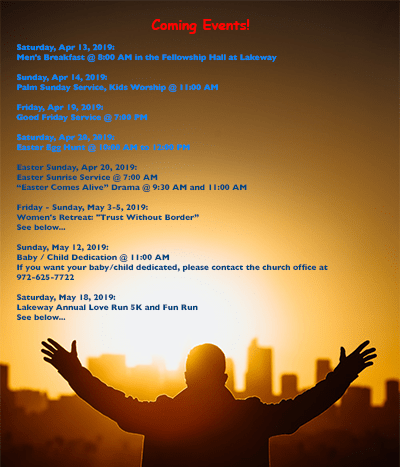 Join us for a great run (or walk) that will benefit families in need.Invite your friends, family, and neighbors to join you on this scenic route. and it will be a beautiful way to start your day.